The Ohio State University has played an integral part in advancing the aeronautics field, while evolving into one of the nation’s premier aviation programs. Less than 14 years after the first flight, World War I created the need for qualified military pilots. 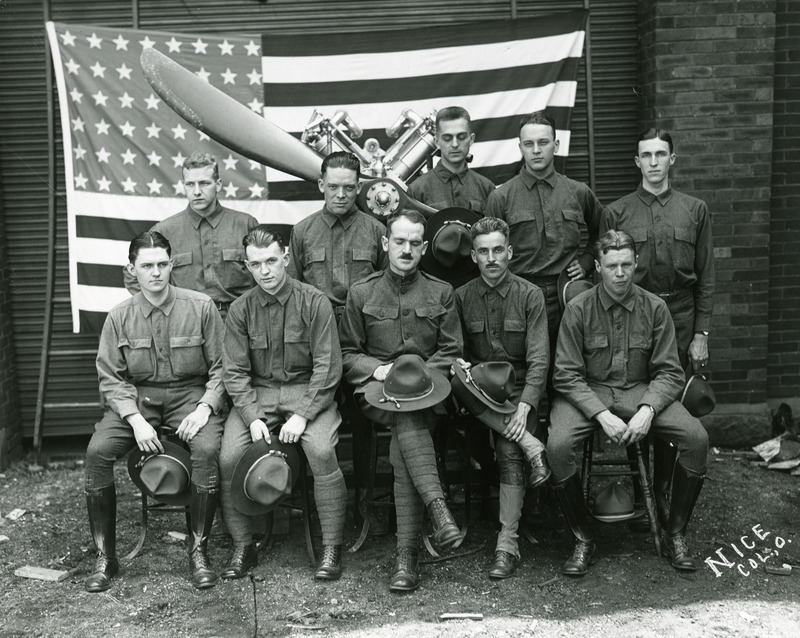 In spring 1917, the War The School of Military Aeronautics was built on campus in 1917 at 215 W. 19th Ave. to teach cadets aircraft construction and maintenance. Later, the building housed WOSU Radio and the Communications Lab, and was torn down in 1992Department established Schools of Military Aeronautics at six universities, including The Ohio State University. 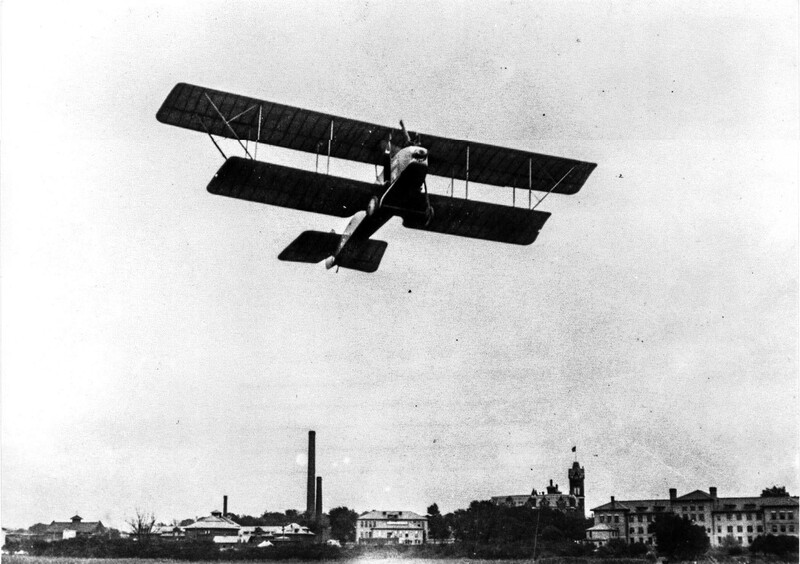 The School of Aeronautics opened May 21, 1917, when the first "squadron" or group of 16 cadets reported. 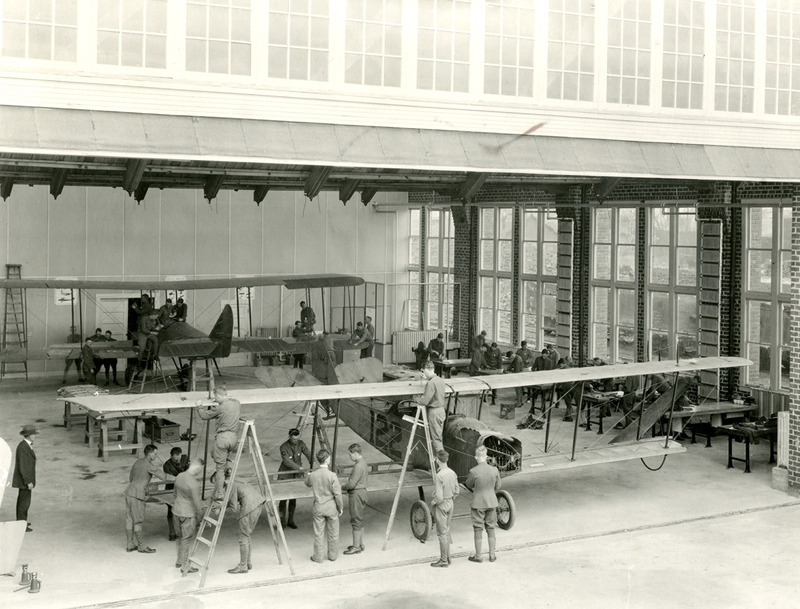 As the story goes, the cadets built the aircraft in the aeronautics building, located at on the southeast corner of West 19th Avenue and Neil Avenue. The planes would then be rolled down the hill to the field just east of the Olentangy River, where flight tests and training would ensue. University Airport, circa 1945-46In support of its pilot training program, the university, in May 1942, purchased property for the development of an airport. The new facility was located on the outskirts of town, seven miles north of campus in northwest Columbus. The first plane to utilize the new airport landed at the field on November 5, 1942. What followed was the construction of the airport's first two buildings in the spring of 1943, and two 2,200 feet, hard-surfaced runways, taxiways, and aprons in early 1944. 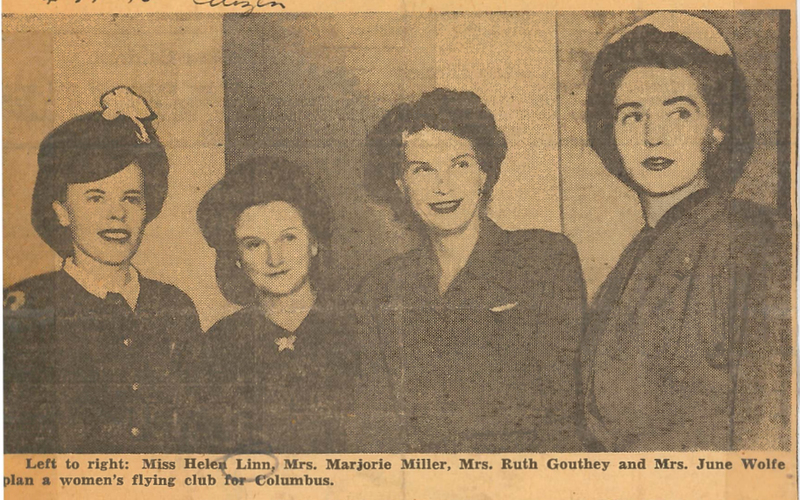 Ruth Gouthey (photo on the right and the second from the right in the photo above.) 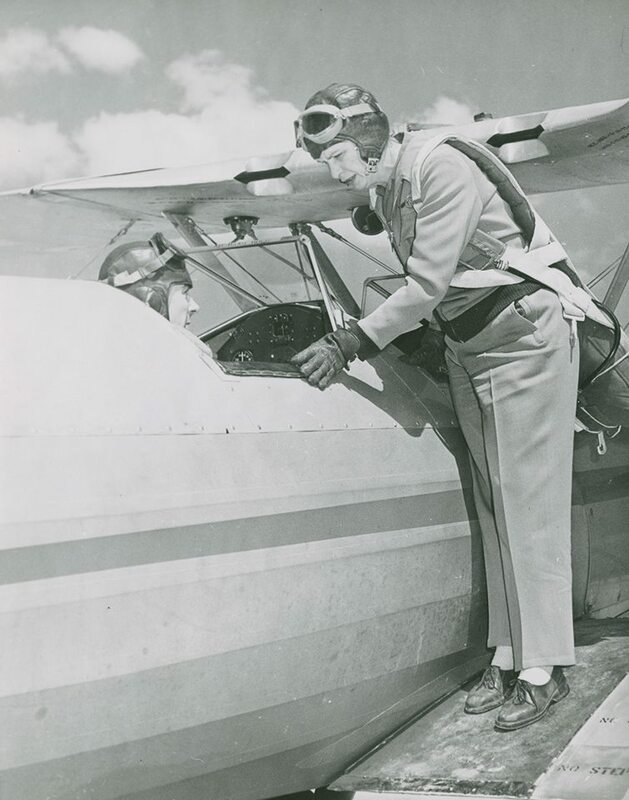 was Ohio State's first female flight instructor, pictured here with a student in 1947. Gouthey also helped form the first Columbus chapter of the 99s. 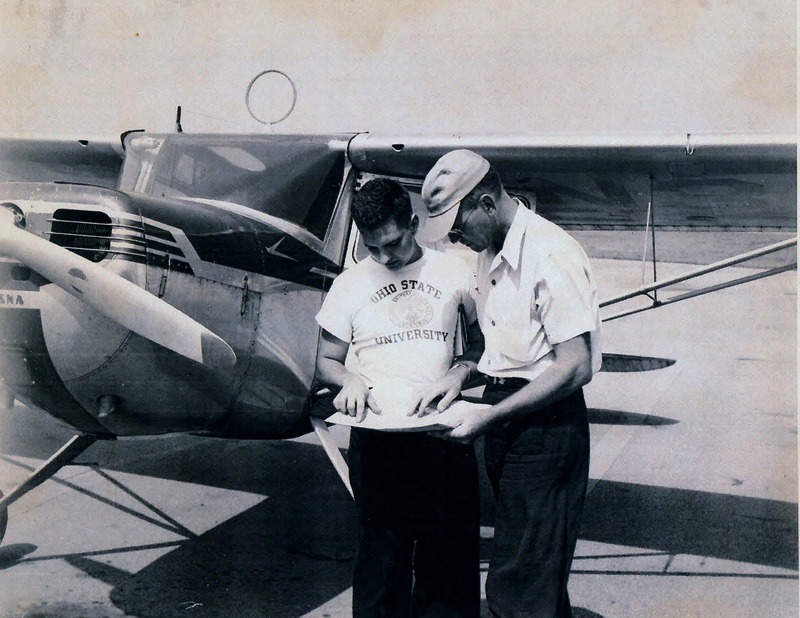 Ohio State began offering flight instruction in 1945. I Flight school enrollment at capacity n 1952, lab fees and ground school for a private pilot’s license totaled $530. 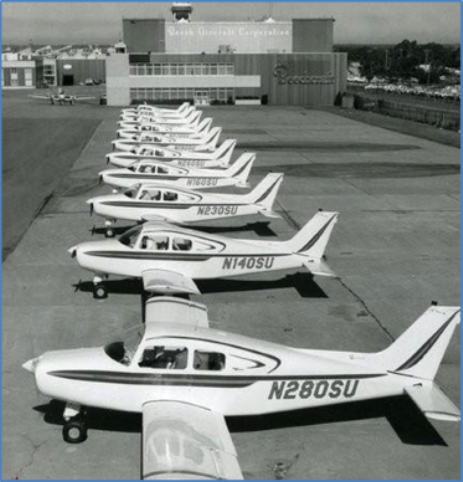 By 1956, school enrollment was at capacity with 29 students and the fleet consisted of four Cessna 140s and four Navions. A 100 gallon insecticide tank was placed in the pilot’s compartment, so a raised cockpit was built above it. The cockpit provided better visibility and protection for the pilot during an accident. The covering of the plane was flame resistant Orlon. 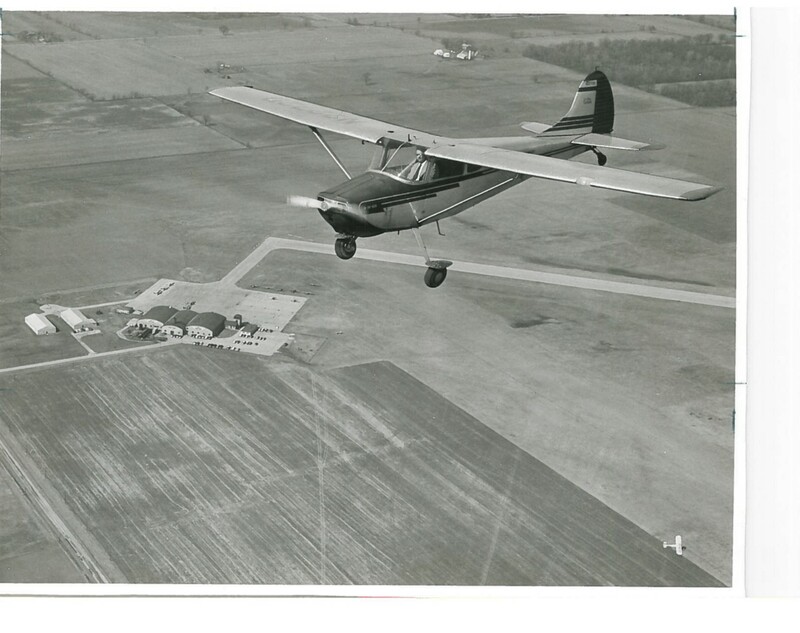 Beginning in the late 1940s and continuing into the 1950s, the airport partnered with the farming community to research equipment for crop dusting. Charles W. Kellenbarger, aircraft maintenance supervisor at Ohio State Airport, worked on the Ohio Project. 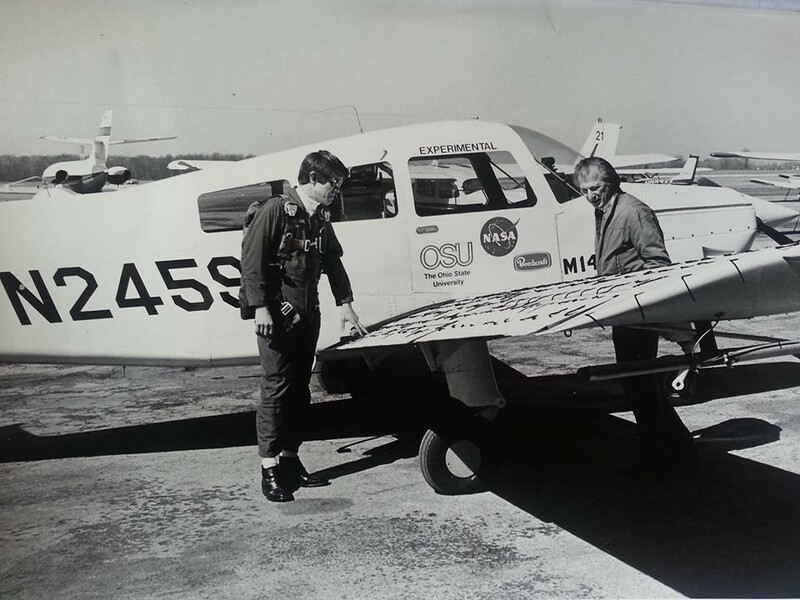 This was “an airplane developed by the Ohio Flying Farmers Association, The Ohio State University, Civil Aeronautics Administration, U.S. Department of Agriculture and others, for use in spraying and dusting farm crops." A modified version of the Piper J-3, the airplane was built to take off from and land on short farm fields. 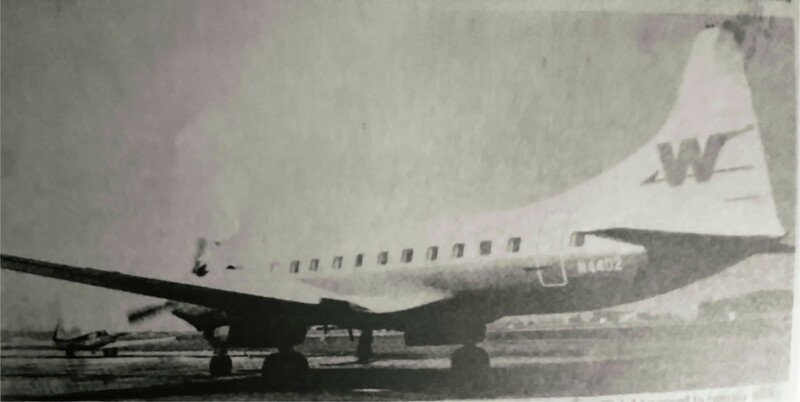 (Science and Mechanics, 8/1956) However, the plane crashed in 1957 and the project was halted. 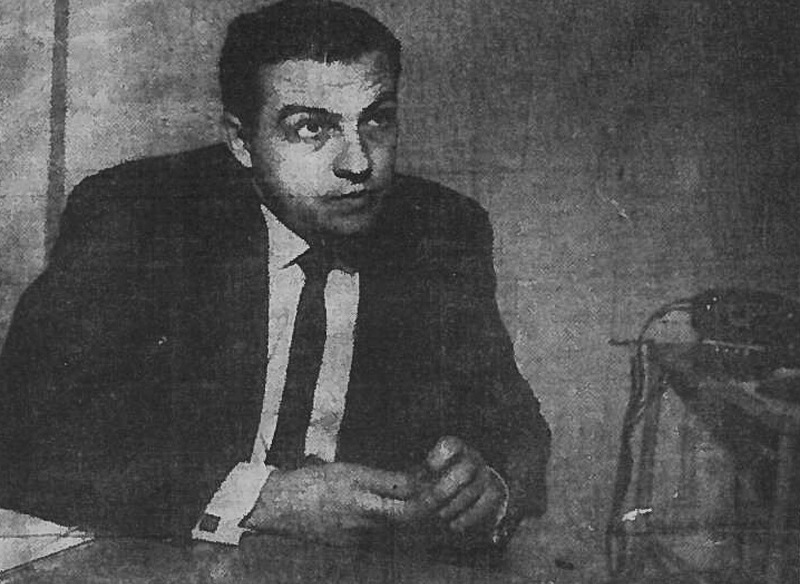 Jack Eggspuehler lead aviation at Ohio State from 1958-1978.Jack Eggspuehler was named director of the School of Aviation at Ohio State in 1958 when he was 28 years old. He was head of aviation until he retired in 1978. Part of his responsibilities included serving as airport director. On July 4, 1967, a Boeing 707 landed at KOSU by mistake. Beech MusketeersThese Beech Musketeers are pictured at the Beech Aircraft Customer Delivery Center in Wichita, Kansas, in June 1969. The picture is courtesy of Myron Ashcraft, Ohio State University class of 1971. 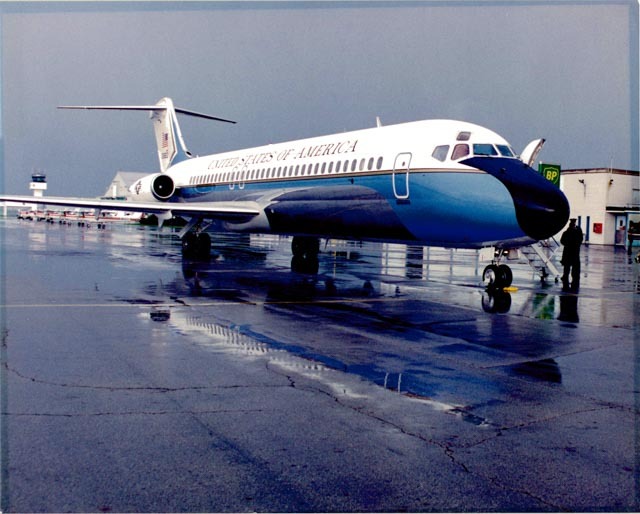 The airport started its decades-long partnership with the NIFA by hosting their national competition in 1960. 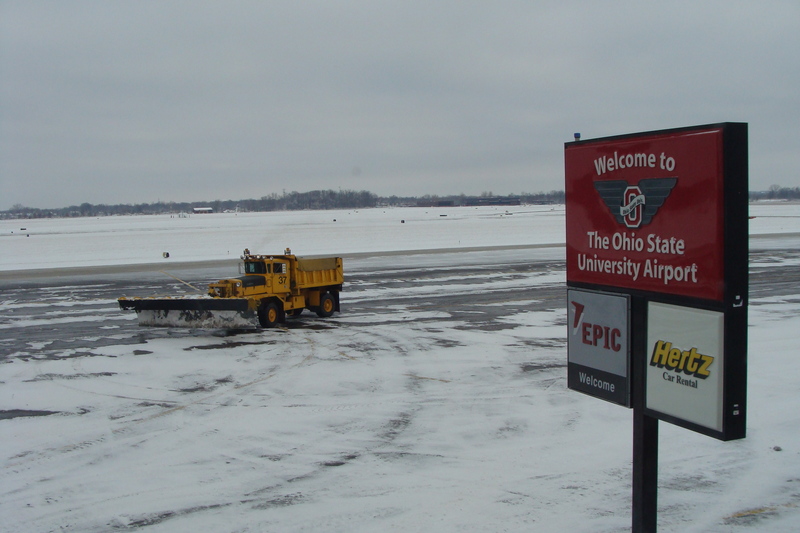 SAFECON (Safety in Flight Evaluation Conference) has been held at The Ohio State University Airport ten times. The National Intercollegiate Flying Associations (NIFA) relocated its headquarters to The Ohio State University Airport in 2012. 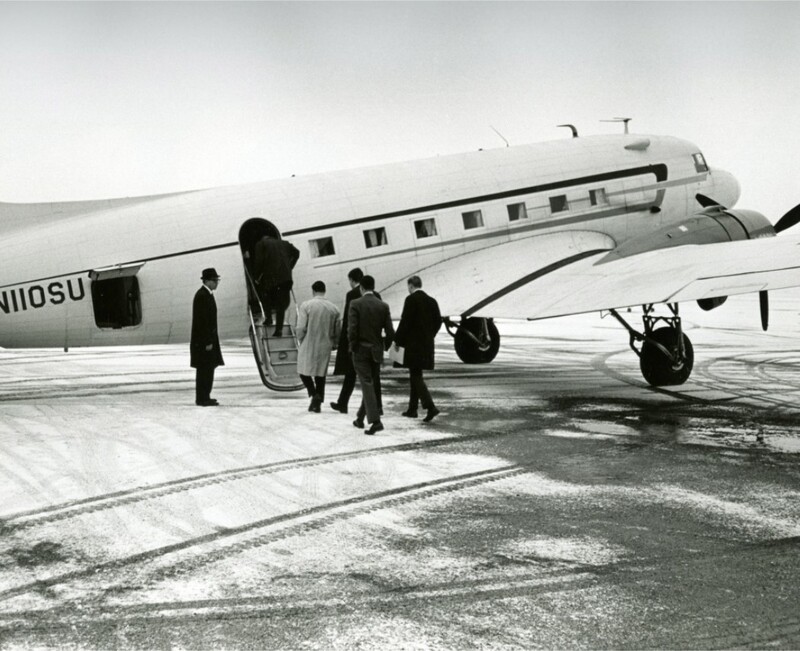 In the 1970s, the airport operated an air transportation service with two DC-3s. 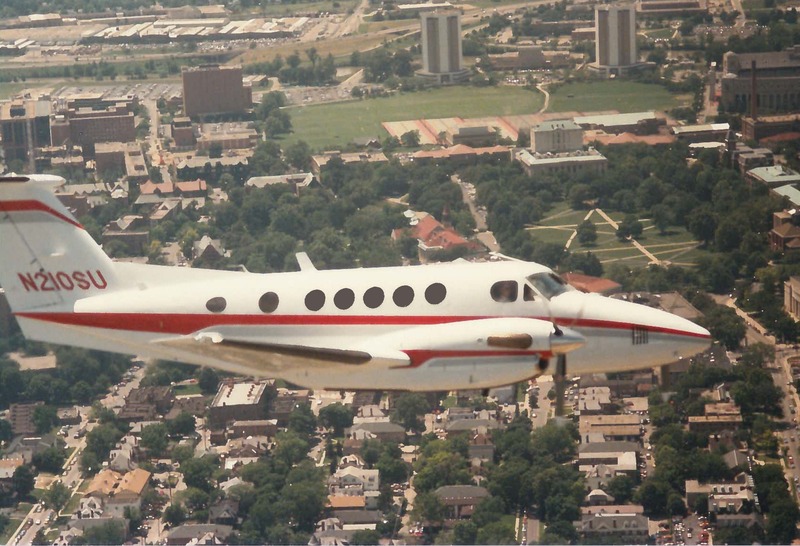 The service provided transportation for university sports teams, faculty and administration and served as a flying classroom. 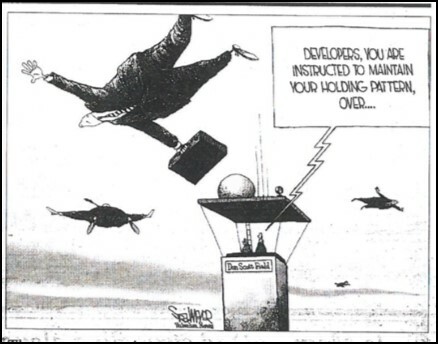 "Developers, you are instructed to maintain your holding pattern over….” (Dublin News, December 18, 1996) This discussion continued on and off for decades, with vigorous arguments offered from both sides. Developers were interested in discussing commercial and retail use of the property, as well as residential buildings. 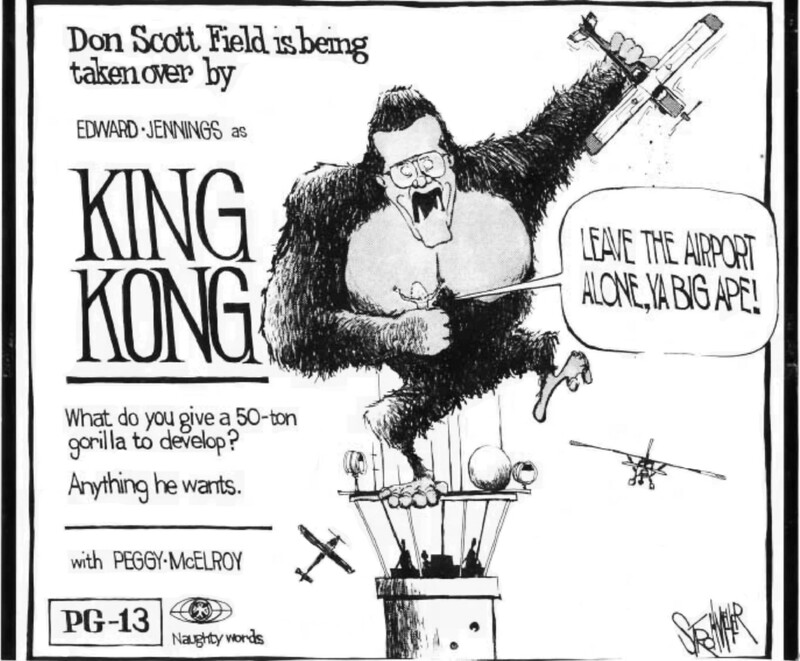 President Gee continued the discussion on selling the airport in the 2000’s. 1978-1982: Richard D. Gilson chaired the Department of Aviation, director of the Ohio State Airport and director of the aviation psychology lab. 1982-1990: Stacy Weislogel was Department of Aviation chair, and was airport director from 1982-1983. 1990– First Lady Barbara Bush arrives at KOSU on Air Force Two, and President George Bush land here after his term ends. “The airport is city within a city. We have our own police and fire department, There is a city-type atmosphere with tenants and users." The Airport Open House was held in 2003, 2005, and 2007, and attracted thousands of visitors with hot air balloons, military fly-overs, static displays, free plane rides for kids, a 5K run, and more. This event was brought back in 2015 and 2016 with similar success. 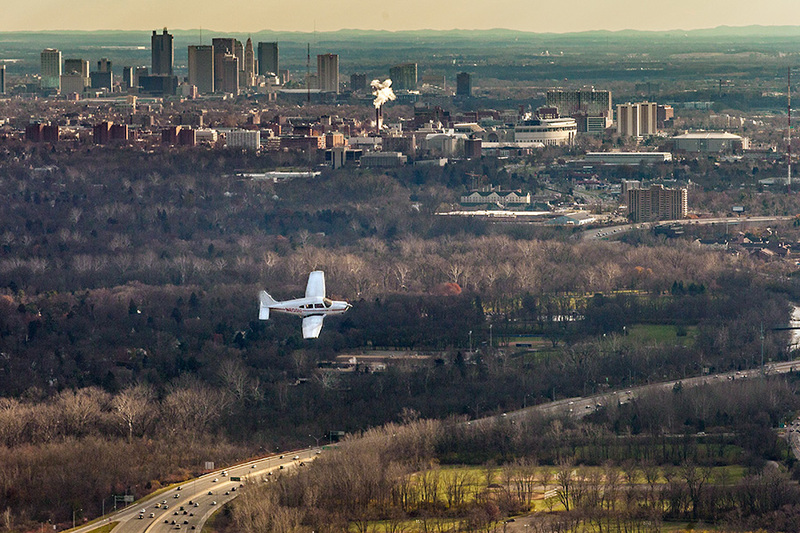 Ohio State Flight Education's Piper Arrow with the Columbus skyline.The airport has evolved in the 75 years since its inception from a pure training facility to Ohio’s premier business aviation center, and is the primary facility serving The Ohio State University and the surrounding central Ohio general aviation community. Today, the airport serves as a general aviation reliever for Port Columbus International Airport. Its status as a Part 139 certificated airport assures the aviation community that the facility will meet the highest standards in terms of operations and maintenance. 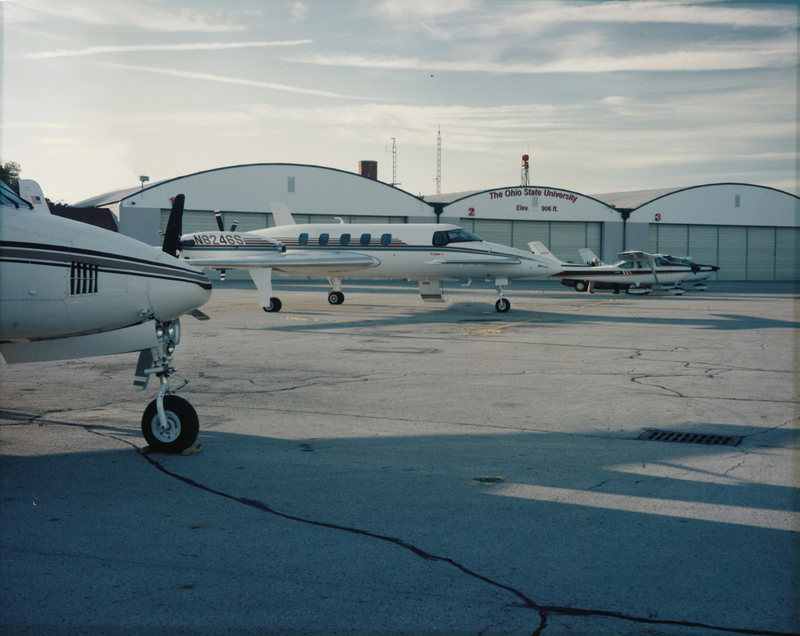 The university airport is home to 200 aircraft, including, both single- and multi-, piston and turbine engine aircraft and rotorcraft, and sees an estimated 75,000 operations per year, including corporate activity, student training, and pleasure flying. The airport ranks fourth in Ohio in the number of take-offs and landings and within the top 100 general aviation airports nationally. The airport has welcomed many dignitaries to Columbus, including former Presidents of the United States, First Ladies, celebrities, and even manatees being transferred to/from the Columbus Zoo. Continuing its namesake’s commitment to education and to his alma mater, the Austin E. Knowlton Foundation donated $10 million to upgrade aviation education and research facilities, and the terminal at The Ohio State University Airport. 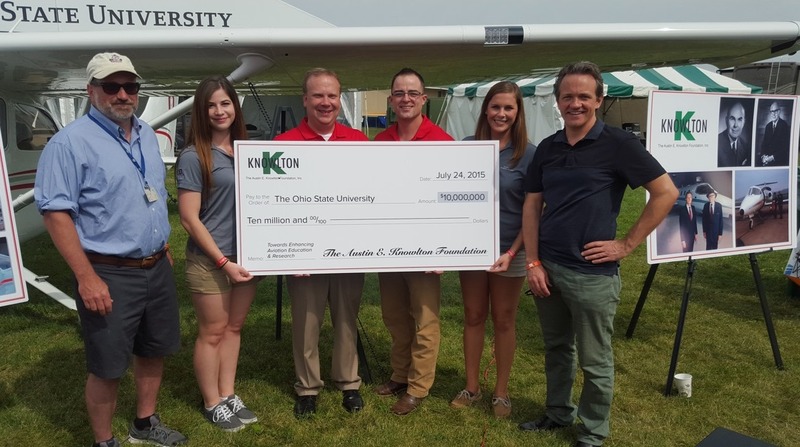 Knowlton Foundation board members present a $10 million check to Flight Education staff at AirVenture 2015. In 2017, the airport will celebrate its 75th anniversary, as well as the groundbreaking for a new flight education and terminal building. Don ScottDon Scott Field was named in honor of the former All-American athlete who died in a bomber crash in England on October 1, 1943, during World War II. 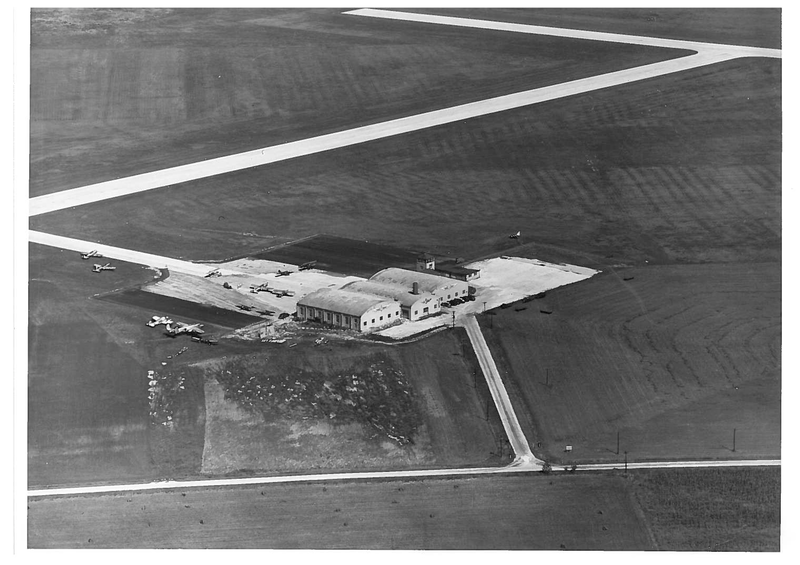 A month later, on November 1, 1943, University Trustees named the new airport. Don Scott was a two-time All-American quarterback at the Ohio State University. 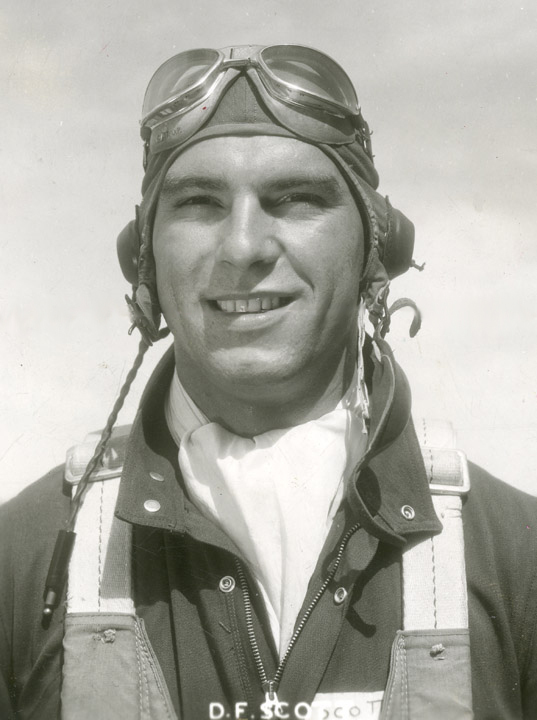 He participated in the Civilian Pilot Training Program, sponsored by the Civil Aeronautics Administration, while at Ohio State. When he entered the United States Army Air Forces, he was as a commissioned pilot. Barnstormer Brutus was created as part of Brutus On Parade, an amazing and exciting program developed by The Ohio State University to assist in raising funds for the renovation of The William Oxley Thompson Memorial Library. Each Brutus started off as a 6'2", 150lb fiberglass statue. More than 30 life-size statues of our beloved mascot can be found on or near campus. Ohio Staters, Inc., invites you to visit http://u.osu.edu/ohiostaters/where-is-brutus/ and use the map to find these Brutus statues. 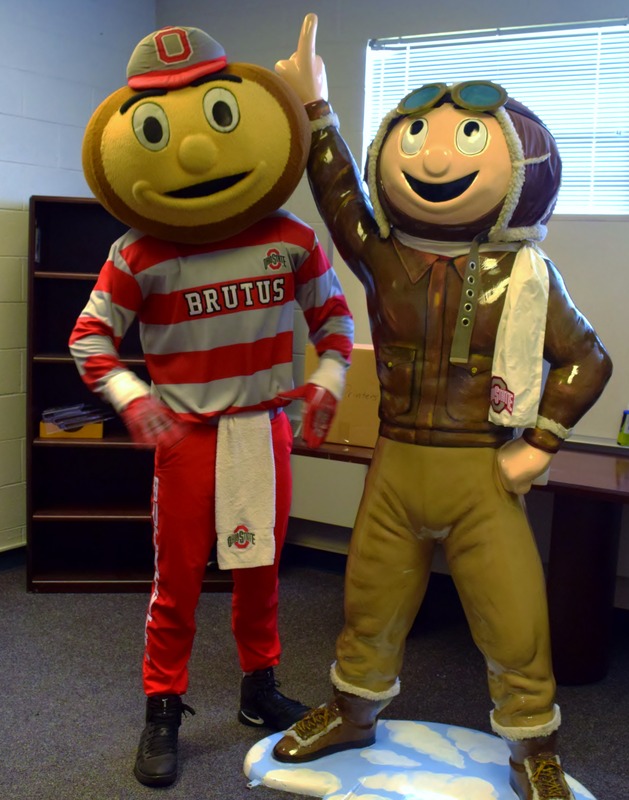 Take pictures with the statues and post online using the hashtag #findbrutus. The map is available in both a PDF and mobile-friendly format. Enjoy! 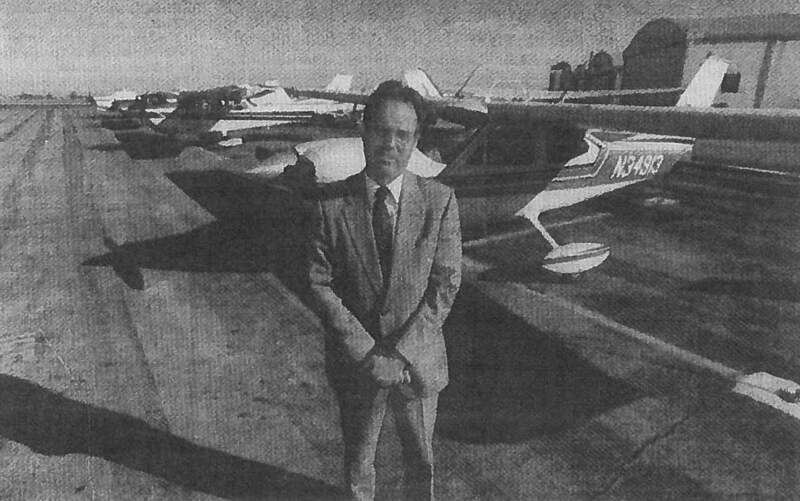 1990-1999: "A CITY WITHIN A CITY"
Richard “Gus” Custer worked at The Ohio State University Airport from 1964 until 1996. As head of airport maintenance, he was responsible for the upkeep of airport facilities and equipment. One of the most notable things Gus was involved with at the airport was the construction of runway 9L/27R. Custer was responsible for constructing the original grass runway before 9L was paved. 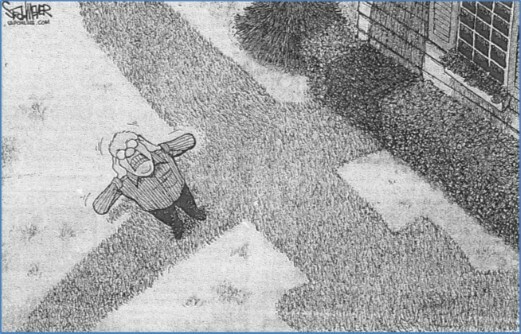 Along with this runway, he installed runway lights, taxiway lights, taxiway C, and helped build a fuel farm. The Ohio State Airport had the first runway GPS system and Automated Weather System; Custer helped construct these systems. One of the larger airport projects was the brand new Air Traffic Control Tower. Along with the airport maintenance staff, Gus helped build Hangar 7. When Custer wasn’t working on building taxiways and towers, he was maintaining airport buildings, roads, taxiways, and runways. All pavement markings were required to be repainted annually in order to meet FAA Part 150 compliance. Custer also witnessed the infamous TWA 707 landing that occurred at OSU Airport in 1967. As our airport undergoes construction for the new terminal, it is important to remember its legacy and the hard work of all the employees who helped make the airport what it is today. CitationDuring one of the memorial tournaments a CitationAir plane and crew were at the airport and just dropped some people and then they saw me and my two brothers. We were there watching all the jets bringing people into town for the tournament. The two pilots asked if we would want to go see the inside of the plane. So we did. After a full pass of the taxiway, I was feeling good, until Dale told me to look behind me. All of the snow had blown right back over the taxiway, since my clever self didn't think to take the howling wind into account when directing the blower. Progress undone! That earned me significant more side-eye from Dale, and the advice to stick to airplanes and leave snow removal to the professionals. We completed a few more pity passes to give me the chance to save face before Dale dropped me off at the terminal and I was reunited with Cecilia. Cecilia and I were all smiles and laughs after our snowplow lessons. My pride took a hit that day, but it was big fun and to this day I still smile when I see the brooms and plows working the runways. Beech StarshipIn late 1987 or early 1988, my instructor and I were waiting to taxi from the student ramp to go out to the practice area. We were held in place by ATC as the Beach Starship was on its way in for a demonstration to a local business. Before landing though, the aircraft rolled on its side and flew the length of the runway for all to see. Worth the few extra bucks I had to spend as the hobbs meter kept racking up minutes while we sat and enjoyed the show. The Starship never really caught on, but its successor, the Piaggio, was both designed and housed here at Don Scott. 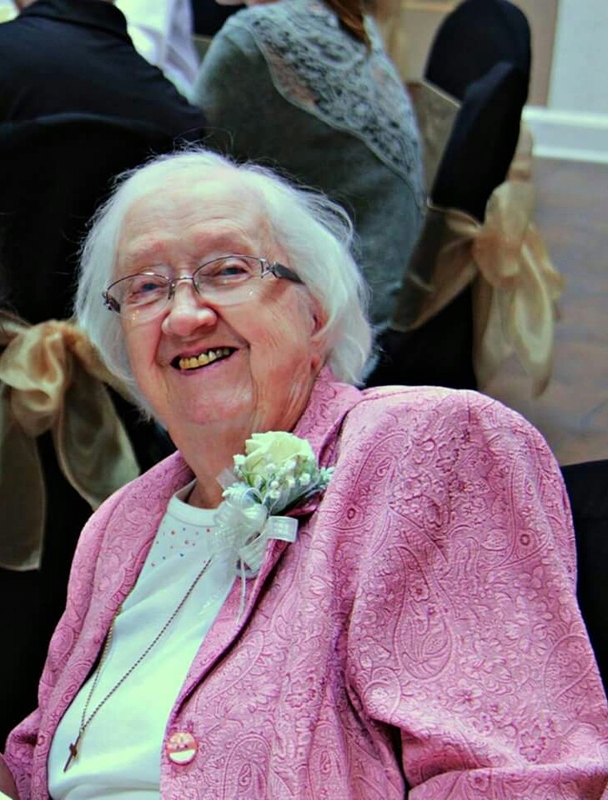 Margaret JewettI was blessed in being a part of OSU Aviation for about thirty years. I saw and remember many fine young people receive their pilot licenses and are now keeping you safe when flying our friendly skies. I have so many fond memories of all of you. photo by Tommy SmathersI had the pleasure and privilege of working customer service at KOSU from Spring 2006 until January 2011. While attending Ohio State, these were by far the best and most memorable years I can remember! 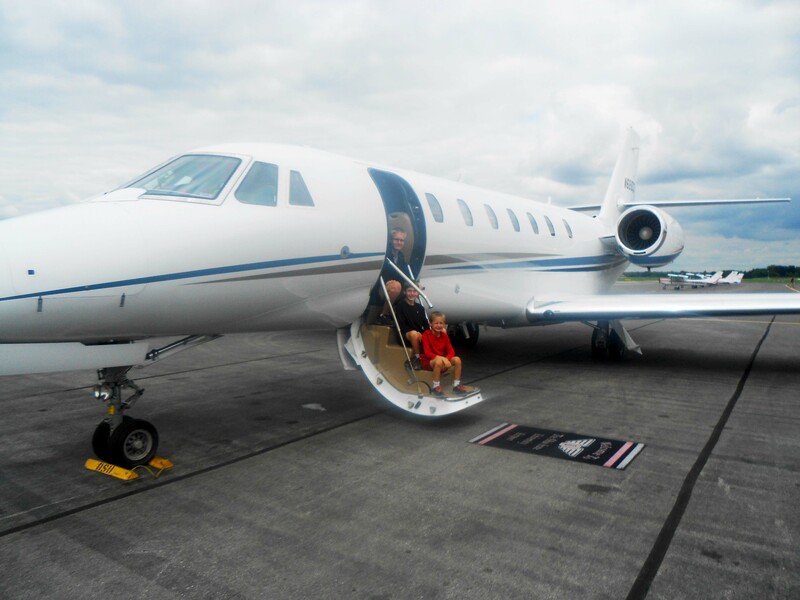 Sue Riggs (Customer Service Manager) gave me the best opportunity to learn and experience aviation first hand and I wouldn't have traded it for anything. I think about my time spent there often and wish only the best for the future of Don Scott Field! 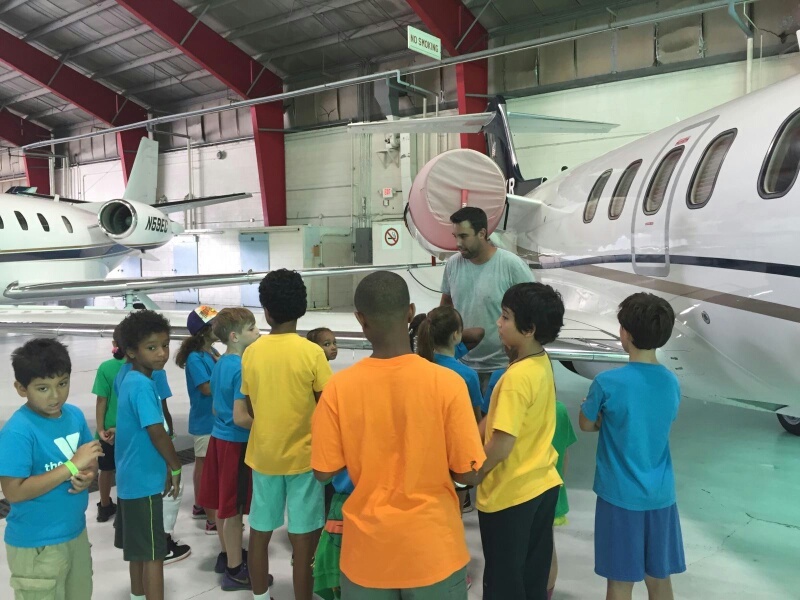 Not only does the airport serve as an excellent reliever and general aviation destination, it is among the very few educational establishments that give students, aspiring aviators and enthusiasts of all ages the best first-hand experience anyone could ask. Thank you KOSU! As a high school student at Worthington High School (now Thomas Worthington), I did a work/study program my senior year and worked in the maintenance department at OSU Airport as a mechanic's helper. I also worked on the line fueling aircraft on the weekends. PA-28 Piper CherokeesIn the spring of 1969, Ohio State Aviation was in the process of replacing the fleet of Piper Cherokee training airplanes to new Beech Musketeers. In late May, Beechcraft invited the Department of Aviation for a two-day factory tour and I was asked to go as well. We flew to Wichita in one of OSUs DC-3s. I remember that Bill Hubbard was the captain and the staff flight instructors (all Ohio State students) took turns in the right seat. Jack Eggspeuhler, Marv Easter, and other admin officers and staff were on board too. We met with Olive Ann Beech, and the tour included a side trip to Liberal, Kansas where the OSU Musketeers were being assembled. We returned home two days later. Great memories that influenced my life in aviation. I also remember when Jack Eggspuehler acquired a P51 Mustang and buzzed the airport (in the pre-tower days). One of the Diesel-3s (just one of many nicknames, including Douglas Racer, Gooney Bird, Dizzy Three, and the Grand Old Lady) was an ex-American Airlines airplane built in the late 1930s with 40,000-plus hours of flight time when it was donated to Ohio State. Rechristened N11OSU and repainted in school colors, it was the university's "flying classroom," fitted with 28 airline seats, a movie projector in the rear and a screen at the forward end of the cabin. DC-3We flew students and faculty on field trips that were enhanced by visual presentations during their flights to and from various points of interest. The OSU athletic department was a major source of business for the Air Transportation Service; 11OSU transported nearly all the varsity teams except football (too many players and too much equipment) to games at all the Big Ten schools and occasional non-conference venues. As you can see, the airplane was a little worse for wear from a cosmetic standpoint, having spent a lot of time out in the wind and weather because of hangar-space restrictions. But 11OSU served Ohio State well until it was sold in 1974. Our other DC-3 (no photo available) was formerly owned by the Kroger Company in Cincinnati, Ohio, and was donated to OSU when the grocery giant decided to transport their VIPs in turbine-powered airplanes. This aircraft was everything a corporate transport should be: luxurious seating for 14 passengers, mahogany cabinets and sideboards topped with living-room quality light fixtures, leather headliners and picture windows on each side, to name just a few of its accoutrements. It had oversized prop spinners, enclosed wheel wells and several power and aerodynamic enhancements that added more than a few knots to its cruise speed. For all practical purposes 77OSU became the university president's airplane -- a "royal barge" to be sure -- but our then-sitting president, Dr. Novice Fawcett, deserved it. Two weeks after I returned from Korea it was the airplane in which I earned my ATP certificate and DC-3 type rating. 77OSU appears in my log books on many occasions until it was sold in 1972.